It's more important than ever to look for the causes of lung cancer in never smokers. 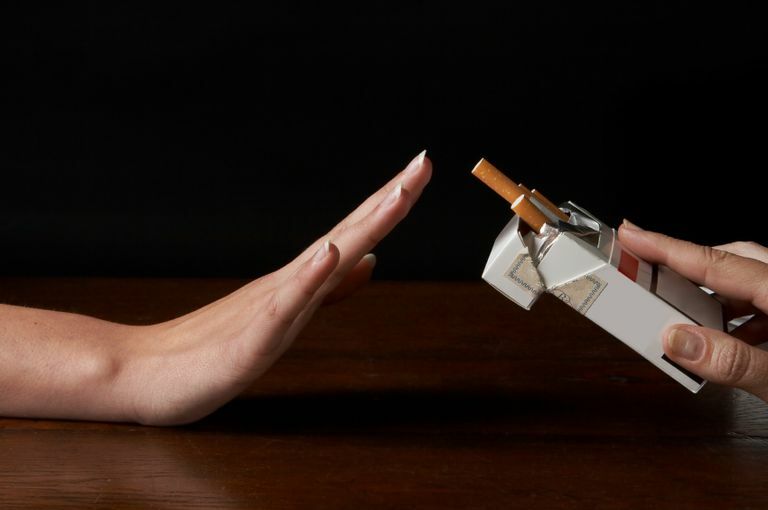 Not only is lung cancer in never smokers the sixth leading cause of cancer-related deaths in the United States, but while lung cancer, in general, has begun to decline (thought to be due to reduced smoking), the incidence of lung cancer has actually increased significantly in young women who have never smoked. Potential causes include radon, environmental chemicals, air pollution, and even possibly the HPV virus. Unfortunately, the stigma of lung cancer being a smoker's disease (which it is not) has led to some complacency when it comes to looking for these other causes. As an example, it's thought that radon-induced lung cancer (from exposure to radon in our homes) causes 27,000 deaths each year in the United States. This can be compared to breast cancer, which causes around 40,000 deaths. But we hear more about potential causes of breast cancer than we do about this very real cause of lung cancer in non-smokers. In looking at what may cause lung cancer in never smokers, it's important to remind everyone that nobody deserves lung cancer, whether they've smoked lifelong, or have never touched a cigarette. Before discussing the known and possible causes below, it's important to define what we mean by non-smokers or never smokers, and review the statistics we have. The term non-smoker is usually used to describe anyone who does not actively smoke, and includes both never smokers and former smokers. It's important to note that the majority of people diagnosed today fall into this category. The term never smokers, in contrast, refers to anyone who has smoked fewer than 100 cigarettes during their lifetime. With most cases of lung cancer are caused by smoking, research has often focused on how tobacco causes lung cancer, and on ways to help people quit smoking. Though necessary, in some ways this is unfortunate because research into the possible causes in never smokers has taken a back seat. Even if smoking were to be banned today, there are many reasons why quitting smoking won't eliminate lung cancer deaths. Several numbers (in addition to it being a top 10 killer in the U.S.) better define the scope of the problem and the need to identify causes of lung cancer in never smokers. Roughly 10 to 15 percent of lung cancers occur in never smokers. Around 20 percent of women who develop lung cancer have never smoked. Worldwide, 50 percent of women with lung cancer have never smoked. Nearly twice as many women die from lung cancer as breast cancer, and many of these women have never smoked. Yet these same women get much less support. Lung cancer in young women who have never smoked is increasing, and in 2018, the incidence of lung cancer in young women exceeded that in young men. Exposure to radon in the home is the leading cause of lung cancer in people who have never smoked. Since exposure occurs in homes, women and children are potentially at greater risk. Radon gas enters homes as the result in the normal decay of uranium in the soil beneath homes, and becomes trapped. Homes in all 50 states and around the world have been identified to have elevated levels, though exposure is more common in some regions than others. Since radon gas may be released from granite, there has been some concern recently about the potential for a relationship between granite countertops lung cancer, though this risk likely pales in comparison to that discussed above. If you are concerned, however, there is a way to test for this. The only way to know whether you are at risk is to do radon testing. Radon test kits can be found at most hardware stores, and usually cost less than $20. If your level is high, radon mitigation can almost always resolve the problem and eliminate the risk. Every single home should be tested, no matter where you live. If we had such as simple way to eliminate more than 50 percent of breast cancer deaths (analogous as breast cancer causes roughly 40,000 deaths and radon, roughly 27,000 lung cancer deaths each year), it's likely that we would have heard much more about this hazard. Don't wait. Test today. Occupational exposures (on-the-job exposures) to chemicals and other substances may account for 13 percent to 29 percent of lung cancers. This includes exposures to asbestos, arsenic, many solvents, diesel exhaust fumes, and more, and can occur in many different occupations from chemists to printers. Employers are required to provide Material Data Safety sheets on any chemicals you may work with, and safety measures should be reviewed. Exposure to asbestos whether at work or when doing a home remodeling project raises the risk of both lung cancer and mesothelioma. In the workplace, strict requirements are in place for those who may be exposed. If you have asbestos in your home (usually homes built prior to 1950), there is usually minimal risk as long as the asbestos is not exposed. Home remodeling, however, can result in substantial exposures, and should be done only by contractors who are familiar with safety practices. Safety measures may include the use of gloves, masks or respirators, good ventilation, or minimizing the time of your exposure (for example, there are guidelines on the length of time people may be exposed to wood dust). For some exposures, a regular mask is insufficient, and specialized respirators are required to avoid inhalation. Keep in mind that exposures to many of these substances can also include in homes or garages, and it's important to review warnings and ingredients on any product you use. Exposure to secondhand smoke (known as passive smoking) is responsible for around 3,000 to 7,000 lung cancer deaths yearly. While good ventilation is helpful, there is no safe limit of exposure. Recently, third-hand smoke, or the particulates that remain on surfaces long after a cigarette or cigar is smoked, is thought to be a health concern as well. Avoiding secondhand smoke is easier with smoking laws in place, but there are still many places that people can smoke. It's wise to declare your home and car smoke free places, and to minimize time in settings where you may be exposed. A family history of lung cancer plays a greater role in the development of the disease among never smokers than among smokers. Never smokers who develop the disease or more likely to have a family member who also had lung cancer. Having a first-degree relative (parent, sibling, or child) with lung cancer roughly doubles the risk, and the presence of the disease in a second-degree relative (such as aunts, uncles, nieces, and nephews) raises the risk by about 30 percent. Research looking at specific genetic changes associated with this risk is infancy, but more is being learned. Recently it's been found that mutations in the "breast cancer gene" BRCA2, raises the risk of developing lung cancer. A rare genetic mutation (a T790M EGFR mutation) results in a 31 percent lifetime risk of never smokers developing lung cancer. This rare mutation is inherited in an autosomal dominant fashion, meaning that if a parent carries the gene, 50 percent of their children will inherit the gene. Several other gene mutations have been associated with lung cancer in never smokers, especially in Asian populations. (It's important to note that the mutations discussed here are hereditary or germ-line mutations, whereas mutations found in tumors (for which targeted therapies may be available, such as with EGFR), are somatic mutations that are acquired after birth, and are not inherited. You can't change your genetic makeup, but those who have a family history of lung cancer may want to look extra closely at reducing other risk factors, and to stay abreast of research looking at the genetic aspects of the disease. Air pollution is another potential cause of lung cancer in never smokers. Studies suggest that up to 5 percent of lung cancer in men, and 3 percent in women, may be related to air pollution. In some regions, the risk may be higher, with some believing that over 10 percent of lung cancer cases may be related to air pollution for people living in urban areas in Europe. Not thought to be a large cause of lung cancer in never smokers in the U.S., exposures to indoor coal smoke either for cooking or heating is a significant cause worldwide. People who receive radiation therapy to the chest region, such as for Hodgkin's disease or after a mastectomy for breast cancer, have an increased risk of developing lung cancer. There are many possible causes of lung cancer in never smokers, though research has been inclusive a this time. Several studies have recently looked at whether HPV may be a risk factor for lung cancer. We know that there are several types of viral infections that are linked with cancer. Human papillomavirus (HPV), the virus known to be associated with almost all cervical cancers, as well as many head and neck cancers, has been isolated in some lung cancers, though this association varies tremendously geographically. We do know that HPV is found more commonly in lung tumors in women and never smokers than in men or people who smoke. Asian studies suggest that HPV is associated with EGFR positive lung cancer, but it's not certain if this is the case in other regions. It's important to note, however, that correlation does not mean causation, and if HPV is involved in the development of lung cancer, it's role may be only a co-factor (working along with other causes) in some types of lung cancer. It's clear that lung cancer is relatively common in never smokers, and that causes other than smoking need to be studied. Unfortunately, unlike people who have smoked, we don't currently have a lung cancer screening test for never smokers (though a 2018 study suggests that CT screening may find these cancers earlier). Since the types of lung cancer found in in never smokers can differ from those in people who have smoked, having an awareness of the symptoms of lung cancer in never smokers is important if these cancers are to be found earlier (the majority of lung cancers are found when they have already spread to far to be cured with surgery). Since lung cancer in never smokers isn't high on physician's radar screens, it's also important to be your own advocate if you have any symptoms that concern you. Chest X-rays can miss up to 25 percent of lung cancers, and further testing with imaging studies such as a chest CT scan may be needed. Hosgood, H., Wei, H., Sapkota, I. et al. Household Coal use and Lung Cancer: Systematic Review and Meta-Analysis of Case-Control Studies, with an Emphasis on Geographic Variation. International Journal of Epidemiology. 2011. 40(3):719-28. Li, C., Yin, Z., Wu, W. et al. Genetic Variations in TERT-CLPTM1L Genes and Risk of Lung Cancer in Chinese Women Nonsmokers. PLoS One. 2013. 8(5):e64988. Markowitz, S., Levin, S., Miller, A., and A. Morabia. Asbestos, Asbestosis, Smoking, and Lung Cancer. New Findings from the North American Insulator Cohort. American Journal of Respiratory and Critical Care Medicine. 2013. 188(1):90-6. Centers for Disease Control and Prevention. What are the Risk Factors for Lung Cancer? Updated 10/17/18.